Station wagons ruled the suburbs in the 1960s and 1970s, replaced by minivans in the 1980s and 1990s. Then along came the crossover SUV, a favorite of American families during the 2000s and 2010s. 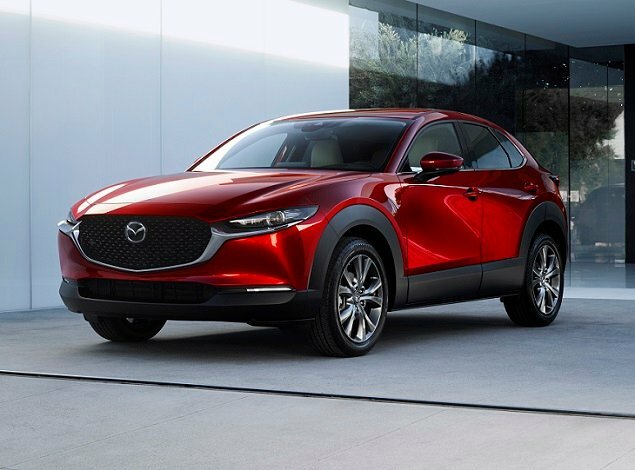 And unless people suddenly fall in love with “sport utility coupes,” it appears that the crossover will remain the conveyance of choice. Among them, the 2019 Toyota Highlander is one of the most popular midsize 3-row variants. Last redesigned for the 2014 model year, it is likely that the 2019 Highlander will be the last of the current generation before a full redesign. The question, then, is this: Should you get a Highlander now, or should you wait and get a Highlander later? If you can wait, you should wait. No doubt, the next-generation Highlander, like all modern Toyota models, will be better to drive, more technologically advanced, and more efficient. However, if you can’t wait, know that based on a 700-mile family road trip, the Highlander remains worthy of consideration even in its advanced state of age. For this review, we evaluated a 2019 Toyota Highlander Hybrid XLE equipped with the rear-seat entertainment system, wireless headphones, and a carpeted mat package. The price came to $45,494, including the $1,095 destination charge. 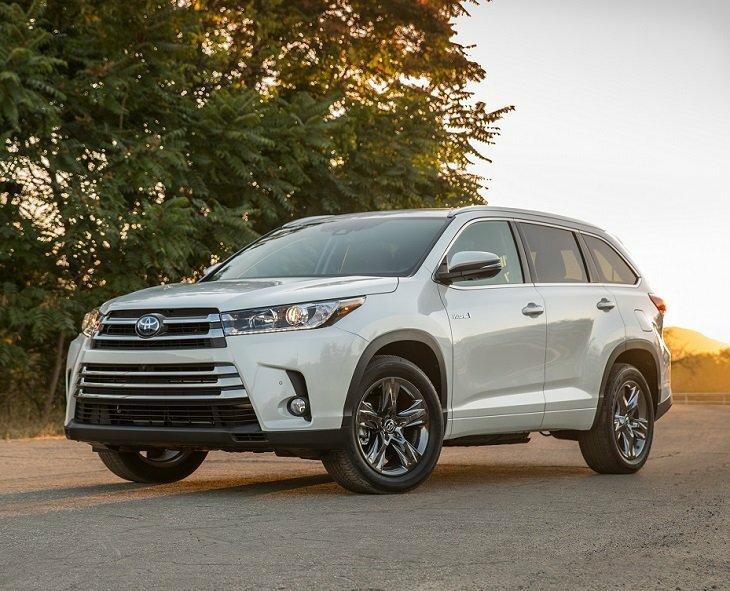 Before we discuss the results of our evaluation of the 2019 Toyota Highlander, it’s helpful to understand who buys this midsize SUV and what they like most and least about it. Compared with the Midsize SUV segment as a whole, 58% of Highlander buyers are men (vs. 57%), their median age is 61 (vs. 55), and their median annual household income is $122,177 (vs. $116,411). No surprise, but Highlander buyers are less likely to agree that they prefer to buy a vehicle from a domestic company (37% vs. 58%). They’re also less likely to agree that they like a vehicle that stands out from the crowd (61% vs. 71%) or that they need a versatile vehicle to accommodate a busy lifestyle (84% vs. 88%). Highlander buyers are more likely to agree that their first consideration in choosing a new vehicle is fuel economy (58% vs. 54%) and that they are willing to pay more for a vehicle that is environmentally friendly (61% vs. 53%). Additionally, Highlander buyers are more likely to strongly agree that their first consideration in choosing a new vehicle is reliability (74% vs. 64%) and quality of workmanship (58% vs. 51%), and that they avoid vehicles that they think will have high maintenance costs (69% vs. 63%). Buyers say their favorite things about the Highlander are (in descending order) the driving dynamics, exterior styling, interior design, visibility and safety, and engine/transmission. Buyers indicate their least favorite things about the Highlander are (in descending order) the storage and space, seats, climate control system, infotainment system, and fuel economy. Highlander buyers like the way this SUV looks…except for the grille, which is cited as one of the top 10 opportunities for improvement. I’d have to agree. After all of these years, this remains a good-looking SUV, but the louvered grille is obnoxious. Interior design is another highlight as far as what people like about their Highlanders. I can see why, as the cabin provides a good blend of both form and function rendered in a typically Toyota mix of durable switchgear and easy-clean surfaces. Much of the plastic looks and feels too inexpensive for a vehicle like this one, but recent Toyota redesigns suggest that the next-generation Highlander will improve in this area. Driving from Los Angeles to the Sierra Nevada mountains, the Highlander XLE’s leather-wrapped driver’s seat proved comfortable. Heated, and equipped with 12-way power adjustment, it was perfect for spending hours behind the SUV’s thick-rimmed steering wheel. Densely padded armrests and soft upper door panel material helped, too. My wife, however, was not happy with her accommodations, mainly because she didn’t have a seat height adjuster on her side of the Highlander. Even a lever to manually raise the seat would’ve helped. The second-row bench seat was comfortable and roomy, if mounted a tad bit low for optimum adult thigh support. Our children, ages 8 and 10, had no complaints, though, and really appreciated the manual side window shades, a nice touch on this mid-level trim. Toyota says the Highlander Hybrid seats up to eight people, but that’s optimistic. The third-row seat is suitable for grown-ups only for very short distances. For rides longer than a few minutes, this seating area is adequate only for kids. Little ones. Another feature contributing to comfort levels is the Highlander XLE’s standard triple-zone automatic climate control system. My offspring love to have control over their own temperature, and during our foray into the snow-capped Sierra Nevadas during which temperatures never rose above 25 degrees, the rear controls came in especially handy. Up front, the Highlander’s seat heaters helped to ward off the cold, and the heater didn’t take long to start turning the SUV’s cabin into a habitable environment. The controls are large and easy to see and use, especially the front and rear defroster buttons. They’re to the left of the driver’s temperature control knob and are big enough to operate while wearing gloves. When the Highlander arrived in advance of our trip, I was dismayed to discover that Toyota’s 3-month free trial to SiriusXM satellite radio had expired. The Highlander also hasn’t received the upgrade to Apple CarPlay and Android Auto that is showing up in the company’s other models (no doubt, coming with a redesign). That left my wife’s iTunes playlist running through her phone, which you only want to hear if you’re into sappy ‘80s ballads, or my alternative rock station running through Pandora and chewing up data. Ah, but what is this strange slot atop the infotainment display screen? A CD player! Thanks to this relic, I grabbed my old, worn CD case out of my 15-year-old Miata and subjected my family to my old Cure, Smashing Pumpkins, Lenny Kravitz, Bob Marley, and Prince discs. To access the navigation map you need to push the “Apps” button flanking the display screen, and then choose the navigation map. Assuming the XLE didn’t come with navigation, I didn’t discover this until after reaching Mammoth Lakes (we knew where we were going). After that, it became a regular aid to exploring the region, and helpful in town considering that so much snow had fallen that you literally couldn’t see business establishments from the road. We also allowed the kids to use our test Highlander’s optional rear-seat entertainment system, running Blu-Ray discs. The system is really simple and easy to use, but the screen completely blocks the view to the back through the rearview mirror when it is in use. There is not much space behind the Highlander’s third-row seat (13.8 cu. ft.). But, if you fold it down and use the SUV as a 5-passenger vehicle, you’ll regularly enjoy 42.3 cu. ft. of space, which was plenty for our suitcases, backpacks, and snow gear. Maximum cargo volume measures 83.2 cu. ft., and the Highlander includes handy flip-up rear window glass, which is helpful when carrying longer items. Storage space inside the cabin is outstanding. We put the huge center console with dual sliding access doors to good use, as well as the big door panel bins. And I adore the shelf running across the face of the dashboard. I used it for my phone, gloves, hat, and yeah, my old-school CD case. Equipped with big side mirrors, clear forward sightlines, and a reversing camera, I had no trouble maneuvering the Highlander until it got really wet and cold and dark. The XLE’s headlights are downright abysmal when it comes to meaningful illumination, and after running the rear defroster and parking the SUV during snowfall, icicles formed in front of the reversing camera, rendering it useless. With that said, the Highlander’s wiper de-icing system was terrific, and so were the heated side mirrors. Toyota Safety Sense is standard on all Highlanders, and it includes adaptive cruise control, forward-collision warning with pedestrian detection, automatic emergency braking, lane-departure warning with steering assist, and automatic high-beam headlights. Additionally, the XLE is equipped with blind-spot monitoring and rear cross-traffic alert. What you can’t get on any Highlander except for the Limited Platinum trim is Toyota’s Safety Connect services package. 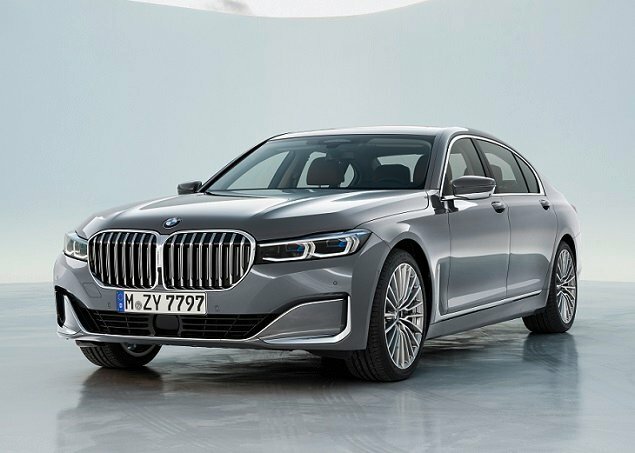 Considering that it includes automatic collision notification, SOS emergency assistance, quick access to roadside assistance, and more, it would seem a prudent move to make this technology standard on all examples of what is clearly a family-friendly vehicle. But that is not the case. In federal government testing, the Highlander gets 5-star (out of 5) ratings across the board except for the driver in the frontal-impact test and for rollover resistance, each of which is rated 4 stars. With XLE trim, Toyota charges just $1,350 more for the Highlander’s available hybrid drivetrain compared to the standard V-6 engine with optional all-wheel drive. Given that the Highlander Hybrid makes 306 horsepower and is rated to return 28 mpg in combined driving, that seems like a bargain. Electric assist motors reside at the front and rear axles, paired with a 3.5-liter Atkinson-cycle V-6 engine and a continuously variable transmission. A nickel-metal hydride battery pack powers the electric motors, and is recharged through the regenerative braking system. The result is a quick and efficient family-sized SUV, though the CVT can sap some of the enjoyment out of the drivetrain under hard acceleration. During our trip, chains were required, and the type we bought fit a variety of 18-in. through 20-in. wheels but restricted speed to 30 mph. So fitted, the Highlander had no trouble with the glazed ice covering the roads near Mammoth Lakes and June Lake, and the Highlander Hybrid’s 8 ins. of ground clearance proved useful during heavier snow squalls. During our time with the Highlander, the SUV averaged 24.6 mpg. That’s a far cry from the EPA estimate of 28 mpg. However, note that most of our driving was performed on the highway, and the Highlander Hybrid gets better mileage in the city where it can take advantage of the engine start/stop system and EV Mode electric operation at low speeds. Also, we had this vehicle packed with both people and cargo. It would have done better with just a driver aboard. Given our average and the SUV’s 17.2-gallon fuel tank, you can easily get more than 400 miles out of each tank of gas. Like other Toyota SUVs, the Highlander feels taut, nimble, and composed on the road, driving like a smaller vehicle than it is. 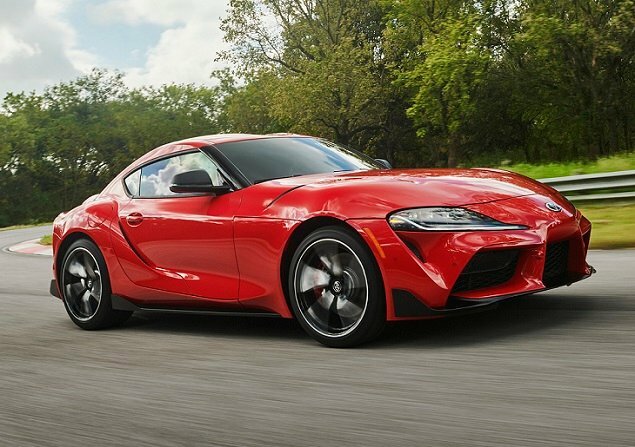 Especially without road-trip weight aboard, it’s got a sporty demeanor. At the same time, the XLE trim’s modest 18-in. wheels and P245/60 tires provide a comfortable and quiet ride. There’s not much in the way of road noise here, or impact harshness. Unless you’ve got chains mounted to the front wheels, of course. If there’s something to complain about, it’s the touchy brake pedal. Like many regenerative braking systems in hybrid vehicles, it can feel unresponsive at first and then suddenly grab. This trait is particularly irksome in heavy traffic situations. Review the Highlander ownership data collected by J.D. Power and it is clear that the people who buy this midsize SUV are looking for a simple, trouble-free ownership experience. That’s exactly what the 2019 Highlander delivers, along with safety, comfort, utility, and more. We didn’t fall in love with the Highlander during our road trip, but we sure did appreciate this SUV for what it is. And I recommend the hybrid drivetrain, especially given its modest price premium.